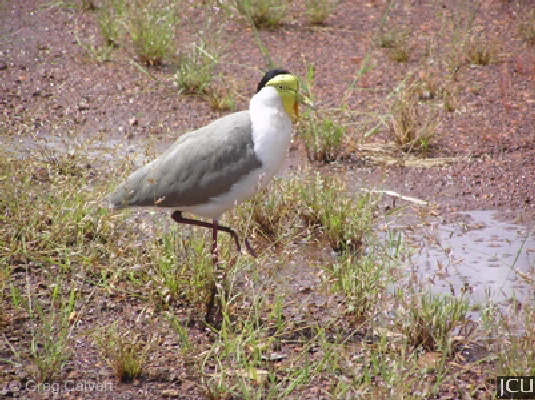 This bird, with its distinctive yellow wattles, is common in moist grassland areas and around mudflats. It is noisy and aggressive and in some areas is nomadic. There is a black cap on the head, wings are brown with black visible when in flight. 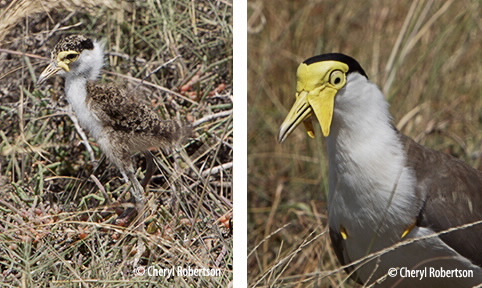 Neck and underparts are white, legs and feet reddish, eyes yellow with black iris, bill yellow.